I am interested in what people think of this Movie. For me it is the issue of differences between a monetary system, and a resource based system. The Resource Based system was held in my mind, much more relevant to the way the world should be going. If your of an opposing opinion why would you think the monetary system is better over the resource based one? Welcome to the Official Site for 'Zeitgeist, the Movie' (2007) & its sequel 'Zeitgeist: Addendum' (2008). Since the emergence of the project in late June, 2007, many other websites, organizations and posts have fallaciously claimed connections to the works. Please note that these two productions are our only media expressions. Likewise, Zeitgeistmovie.com and its developing activist site:TheZeitgeistMovement.com are the only web entities we have produced. 'Zeitgeist, The Movie' and 'Zeitgeist: Addendum' were created as Not-for-Profit expressions to communicate what the author felt were highly important social understandings which most humans are generally not aware of. The first film focuses on suppressed historical & modern information about currently dominant social institutions, while also exploring what could be in store for humanity if the power structures at large continue their patterns of self-interest, corruption, and consolidation. I am not after encouraging sheep but of opening the door to a creative faucet of experience that is promoted to one of sharing and not one that caters to fear. The economy needs to be looked at under a "different light" in order that we see what has happened. So that we may free ourselves from the illusions we have fallen under. I am not advocating cultist idealizations here but a truthful look at what we can do to change the way we want this planet to go. It is necessary at this time to show that such a procedure evolved here in Dialogos of Eide had to be taken to be interpreted as a an acceptance and assumption of the way the world "is" according to scientific elaborations given in the interpretation of the "back ground." For example, the weight of an object may be operationally defined in terms of the specific steps of putting an object on a weighing scale. The weight is whatever results from following the measurement procedure, which can in principle be repeated by anyone. It is intentionally not defined in terms of some intrinsic or private essence. The operational definition of weight is just the result of what happens when the defined procedure is followed. In other words, what's being defined is how to measure weight for any arbitrary object, and only incidentally the weight of a given object. When observe and held in face of the scientific valuation and spoken to in the science world, the veritable conceptual acceptance of any model is its amalgamation into the way one would move into the world. This is a bold step, because you have accepted the way in which such a proposal has been put forward to demonstrate how one may now see the world. Operational definitions are inherently difficult — arguably, even impossible — to apply to mental entities, because these latter are generally understood to be accessible only to the individual who experiences them and are therefore not independently verifiable. According to this line of thinking, a person's mental image of a brick cannot be operationally defined because it cannot be measured from outside that person's mood. Philosopher Daniel Dennett has argued that first-person operationalism is possible and desirable, using the anthropological version of the scientific method to bring the mind fully into the third-person realm required by science. As part of the Multiple Drafts Model of consciousness, Dennett defines a process he calls heterophenomenology, by which the mental is defined operationally in terms of the observed behavior of the subject. Held in relevance to use of the word background it is necessary to consider the depth and potential of the human being in light of the bulk perspective assigned to that background to demonstrate that the depth and generation of the human interaction is more defined by more then just the compartmentalization assigned to human action. 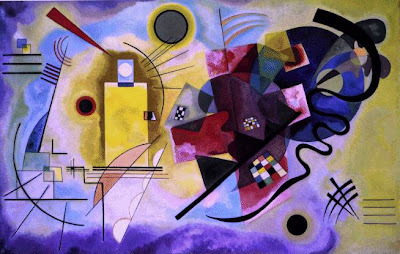 Ir was necessary in my own mind to recognize the greater foliation of the response to stimuli as a governing factor in the emotive expressions of the human endeavour then just to let it r,main as a consequence without a possible course of direction, as an effect. Heterophenomenology ("phenomenology of another not oneself"), is a term coined by Daniel Dennett to describe an explicitly third-person, scientific approach to the study of consciousness and other mental phenomena. It consists of applying the scientific method with an anthropological bend, combining the subject's self-reports with all other available evidence to determine his or her mental state. The goal is to discover how the subject sees the world him- or herself, without taking the accuracy of the subject's view for granted. Heterophenomenology is put forth as the alternative to traditional Cartesian phenomenology, which Dennett calls "lone-wolf autophenomenology" to emphasize the fact that it accepts the subject's self-reports as being authoritative. In contrast, heterophenomenology considers the subject authoritative only about how things seem to him or her. 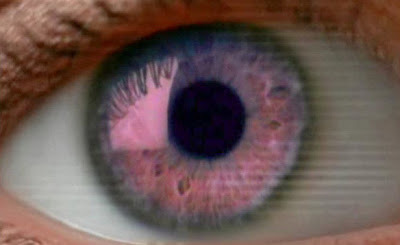 In other words, heterophenomenology requires us to listen to the subject and take what he or she says seriously, but to also look at everything else available to us, including the subject's bodily responses and environment, and be ready to conclude that the subject is wrong even about his or her own mind. For example, we could determine that the subject is hungry even though he or she doesn't recognize it. The key role of heterophenomenology in Dennett's philosophy of consciousness is that it defines all that can be — or needs to be — known about the mind. To quote Dennett, "The total set of details of heterophenomenology, plus all the data we can gather about concurrent events in the brains of subjects and in the surrounding environment, comprise the total data set for a theory of human consciousness. It leaves out no objective phenomena and no subjective phenomena of consciousness." Dennett stresses that heterophenomenology does not dismiss the first-person perspective, but rather brackets it so that it can be intersubjectively verified by empirical means, allowing it to be submitted as scientific evidence. This can be seen by how heavily heterophenomenology relies on adopting the intentional stance toward subjects. AS some of you know, earlier, I made reference to a new blogging place that I was working on that I may be moving too. The idea here is that the current blogging place called, "Dialogos of Eide" only reflects the work to materializing ideas that I have had about "information and the back ground" that it supplies for a philosophy that was developing from very "ancient ideas" in regard to not only to Plato, but of the thoughts about the Pythagoreans that has stayed with me throughout as well. How unscientific it may seem that I have taken a long journey through many science blogging sites to learn of what makes a scientist, to see the behaviour throughout that industry, to have it reflect more the general population, then to say that it sits alone, as a 5% representative of what most do not look at or even concern themself from a general societal point of view. It is well known the procedural methods adopted to say that herein then, I move forward with the developmental artistic valuation I have assign this new endeavour to illustrate what some may say is subjective in regard to only what scientists can offer in an essay, to say that Einstein's thoughts actually carried some weight with me. Larry Page in Support of White Space? The United States 700 MHz FCC wireless spectrum auction was started by the FCC on January 24, 2008 for the rights to operate the 700 MHz frequency band in the United States. The details of process were the subject of debate between several telecommunications companies, including Verizon Wireless, AT&T, and startup Frontline Wireless, as well as the Internet company Google. Much of the debate swirled around the "open access" requirements set down by the Second Report and Order released by the FCC determining the process and rules for the auction. All bidding must be commenced by January 28 by law. The auction was named Auction 73. It is one of these things that has been going on for a while now without the public really being aware. While the idea is sound in terms of "opening this technology with new possibilities," you should be fundamentally aware that this resource is a public one, and has been sold in auction by a Canadian government to encourage rural connections? It raised 12 Billion dollars. How does this help your pocket book? It doesn't. It provides for more possibilities for the White space Coalition to advertise their wares. All eyes are on the presidential election today, but another important vote just took place at the Federal Communications Commission. By a vote of 5-0, the FCC formally agreed to open up the "white spaces" spectrum -- the unused airwaves between broadcast TV channels -- for wireless broadband service for the public. This is a clear victory for Internet users and anyone who wants good wireless communications. I've always thought that there are a lot of really incredible things that engineers and entrepreneurs can do with this spectrum. We will soon have "Wi-Fi on steroids," since these spectrum signals have much longer range than today's Wi-Fi technology and broadband access can be spread using fewer base stations resulting in better coverage at lower cost. And it is wonderful that the FCC has adopted the same successful unlicensed model used for Wi-Fi, which has resulted in a projected 1 billion Wi-Fi chips being produced this year. Now that the FCC has set the rules, I'm sure that we'll see similar growth in products to take advantage of this spectrum. As an engineer, I was also really gratified to see that the FCC decided to put science over politics. For years the broadcasting lobby and others have tried to spread fear and confusion about this technology, rather than allow the FCC's engineers to simply do their work. Finally, I want to applaud and thank FCC Chairman Kevin Martin, the other commissioners, and the FCC Office of Engineering and Technology for their leadership in advancing this important issue. And, thanks to the more than 20,000 of you who took a stand on this issue through our Free the Airwaves campaign, the FCC heard a clear message from consumers: these airwaves can bring wireless Internet to everyone everywhere. This was the battle between Microsoft and Netscape under the title of the Cathedral and the Bizarre by Eric Raymond now in book form. It wasn't so sometime ago when I read of this history under a Macopinion.com link. 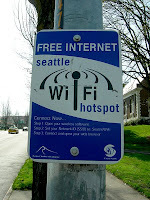 I think as a citizen of this country it would be a progressive move in face of the FCC in the United States decision, that the White Space that will connect communities should be a free one in terms of the internet. No where does Larry Page reveal this, and no where does Microsoft who is coming on board, reveal this as well? Open source is a software application. What I am proposing is a "open source hardware application" that allows you to connect to the internet for free. If you can access it, then why should you pay for it? Did you ever pay for the signal when you were using your Rabbit ears? Charged for the utility of the phones in your home that are cord free? I would like any comments here to this idea opened up for discussion while you become informed as to what has happened while we were sleeping. Testing procedures used to verify "no interference" then become the model for integrating and developing the connection to the airwaves for future free internet. Where are those whose insight can be formative to a "better ideal?" Shall it not begin inside this "melting pot" from an idea, to then recognize that such an application can set minds to see cultures whose demise has been moved to another arena for change? It is nopt to allow the distortions and appeal of the ole ways to rule the minds of those who are ready for change to be unshackle from the chains that bind one from seeing the applicability of the sun in our lives. A crucible is a cup-shaped piece of laboratory equipment used to contain chemical compounds when heating them to very high temperatures. The receptacle is usually made of porcelain or an inert metal. Ash is the completely unburnable inorganic salts in a sample. A crucible can be similarly used to determine the percentage of ash contained in an otherwise burnable sample of material such as coal, wood, or oil. A crucible and its lid are pre-weighed at constant mass as described above. The sample is added to the completely dry crucible and lid and together they are weighed to determine the mass of the sample by difference. The crucible, lid, and sample are then fired to constant mass to completely burn up the sample, leaving behind only the completely unburnable ash. After cooling in dryness, the crucible, lid, and remaining ash are weighed to find the mass of the ash from the sample by difference. The fraction of ash (by mass) in the sample is determined by the dividing the mass of the ash by the mass of the sample before burning, which is done by subtracting the weight of the crucible and lid from the figure of the container, lid, and sample. Walking through the ruins, would set my mind to what existed, and what no longer exists. Did we not calculate "the change over time." Did we not understand the citadels that were built then while very physical , has now become unknown symbols of the past and stand as reckoning of a civilization that has long dissipated and has become part of the collective unconscious of our societies. It is more then that the "character of the woman/man then become the idea of what falls away, and to see beyond the limitations that an ole society may have imbued in those times, that we saw too then, that our mothers, grandmothers, were indeed one of those better angels under the adversities of the times. Wardriving is the act of searching for Wi-Fi wireless networks by a person in a moving vehicle, using a portable computer or PDA. Software for wardriving is freely available on the Internet, notably NetStumbler for Windows, Kismet or SWScanner for Linux, FreeBSD, NetBSD, OpenBSD, DragonFly BSD, and Solaris, and KisMac for Macintosh. There are also homebrew wardriving applications for handheld game consoles that support Wi-fi, such as sniff_jazzbox/wardive for the Nintendo DS, Road Dog for the Sony PSP and Stumbler for the iPhone. There also exists a mode within Metal Gear Solid: Portable Ops for the Sony PSP (wherein the player is able to find new comrades by searching for wireless access points) which can be used to wardrive. 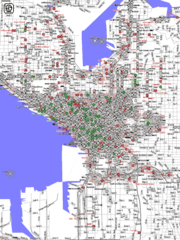 A map of Seattle's Wi-Fi nodes, generated from information logged by wardriving students in 2004. Congrats to whitedice, who managed to accumulate a million located new-to-WiGLE networks.. *by himself*! I, for one, welcome our new cyborg nethugging overlord.